Outdoor activity can carry some tiny but potentially severe health risks, including tetanus bacteria and Zika-bearing mosquitos. So whether you are gardening at home this summer or vacationing in warmer climes, enjoy time outdoors knowing you have done all you can to keep yourself and your family safe. Check with your physician or vaccination clinic to ensure that you have all the vaccinations you need for your holiday destination, and that you are up to date with routine once-a-decade shots such as tetanus. The Zika virus can be passed from a pregnant woman to her fetus and can cause birth defects. Zika can be sexually transmitted and 75-80% of infections cause no symptoms. Women should wait 2 months and men 6 months after returning from a Zika-affected destination before trying to conceive. Get accommodations with air conditioning, good window screens, and mosquito netting for the bed. Whether it is mosquitos or tetanus risks, we’re surrounded – tetanus bacteria exist in dust, soil, and manure. Tetanus bacteria enter your body through broken skin, so a sliver, puncture wound, self-injection, burn, or a crush injury can put you at risk. Wounds contaminated with soil, feces, and saliva are more likely to cause a tetanus infection. 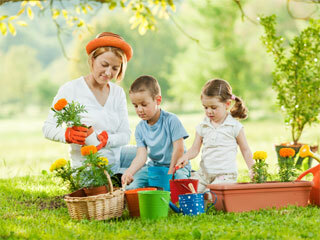 Wear protective gloves, clothing and footwear when there is any risk of injury, e.g., working with tools, gardening. Clean any wounds immediately – even minor injuries that break the skin, like blisters or scrapes – to help prevent infection.